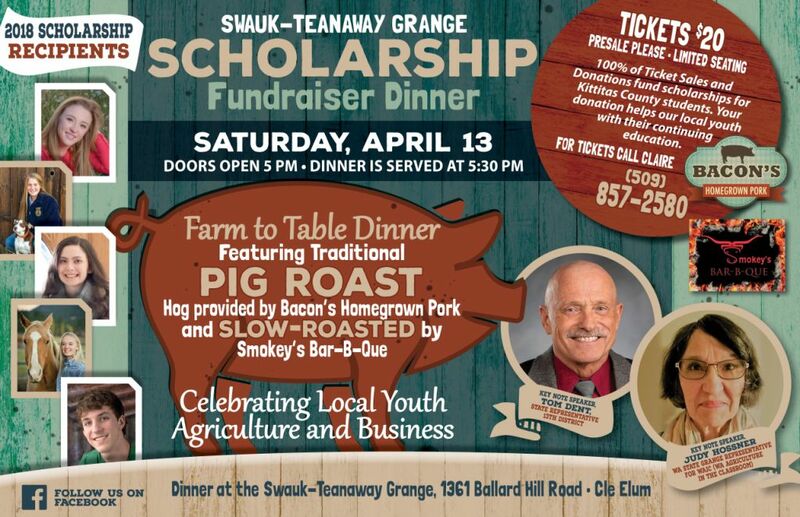 The 2019 Swauk-Teanaway Grange Scholarship Dinner is Saturday, April 13. Doors open at 5 pm, with dinner served promptly at 5:30 pm. All proceeds go to Scholarships for Kittitas County graduating seniors. We’re having a Farm to Table Dinner featuring a traditional pig roast with homemade side dishes. 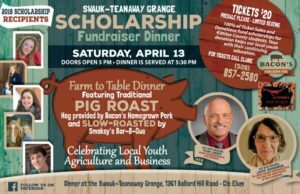 Tickets for this fundraiser are $20 and are available through Claire Lucke (509-857-2580). For additional information visit our Facebook page.